There are frequent direct and indirect flights to Kenya by numerous major airlines. The national airline is Kenya Airways (www.kenya-airways.com). Other airlines offering flights to Kenya include British Airways (www.ba.com) and Emirates (www.emirates.com). There are no significant seasonal factors affecting flight prices. Kenya has two international airports. The main point of arrival is Nairobi’s Jomo Kenyatta International Airport (NBO), which receives the majority of scheduled international flights. Mombasa’s Moi International Airport (MBA) also receives some international scheduled flights, and is the main point of arrival for charter flights from Europe. Both are managed by the Kenya Airports Authority (www.kaa.go.ke). Major airports are: Nairobi Jomo Kenyatta International Airport and Mombasa Moi International Airport. Nairobi Jomo Kenyatta International Airport is located 16km (10 miles) to the southeast of central Nairobi, in the Embakasi suburb of the capital. +254 72 220 5061 or +254 20 822 111. Mombasa Moi International Airport is located approximately 10km (6 miles) west of Mombasa in southeastern Kenya. To Nairobi: from London - 8 hours 45 minutes; New York - 18 hours 30 minutes (including stopover). Included in the air fare. The main international road crossings into Kenya are from Tanzania and Uganda. The main crossing points from Tanzania are at Lunga Lunga, south of Mombasa, and Namanga, on the road to Arusha. There are smaller posts at Isebania and Taveta. From Uganda there are crossing points at Busia and Malaba. Heading to or from Tanzania, several companies run comfortable shuttle bus services between Nairobi, Arusha and Moshi. 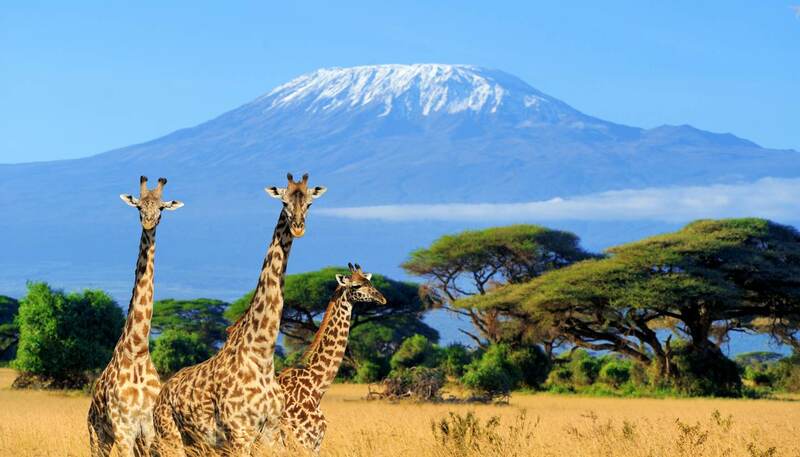 These are aimed at tourists who fly into Nairobi and are visiting the game parks in Tanzania’s northern circuit region from Arusha, or are climbing Mount Kilimanjaro from Moshi. The buses take about 5-6 hours in either direction, and drivers assist passengers with border procedures. Reliable operators providing a daily service include Riverside Shuttles (www.riverside-shuttle.com) and Regional Luxury Shuttle (www.regionalluxuryshuttle.com). Many local bus companies ply the main routes between Nairobi and Mombasa and the major cities in northern Tanzania and Uganda. Most are quite unreliable and safety standards are not to western standards. For Tanzania, the pick of the crop is Dar Express, which connects Nairobi to Arusha, Moshi and Dar es Salaam. The most reliable operators between Nairobi and the Ugandan capital Kampala are Easy Coach (www.easycoach.co.ke) and Queen's Coach. Kenya also shares remote land borders with Ethiopia, South Sudan and Somalia, but roads are in poor condition and there is no reliable public transport on these routes, which pass through volatile desert areas prone to outbreaks of armed banditry. The principle seaport is Mombasa, but there are presently no international ferry services to Kenya. Some cruise ships dock in Mombasa. Likewise, there are currently no ferry services to Kisumu, the principal Kenyan port on Lake Victoria, a vast inland sea (indeed, the largest water body in Africa) shared with neighbouring Tanzania and Uganda.